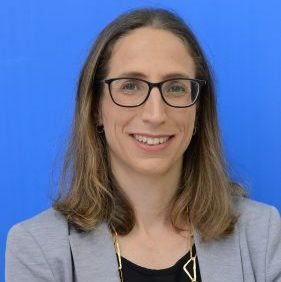 Ayelet Sela is a lecturer (assistant professor) at Bar Ilan University Faculty of Law. She holds a JSD and JSM from Stanford Law School and an LL.B from the Hebrew University in Jerusalem. My work unites research in law, social science and technology to explore issues of dispute system design, procedural justice, law and technology, and courts. My current research agenda includes examining the impact of procedural design and choice architecture on users of online legal processes, and specifically, online courts. I also explore how court procedures and judicial regulation should adapt to the scarcity of trials and the common current functions of civil courts and judges. Working with the Data Science Institute, I study ethical risks and privacy protection in digital legal instruments, and consider the potential of regulating them through automated governance tools. Previously, I was the socio-legal research coordinator of an ERC-funded research on judicial conflict resolution, a legal auditor in the Israeli Ministry of Justice, a fellow at the Gould Negotiation and Dispute Resolution Center and the Codex Center for Legal Informatics at Stanford University, and a legal clerk for Justice Eliezer Rivlin of the Israeli Supreme Court. • The effect of different ODR technologies and process-designs on disputants’ experiences of procedural justice.